Looking at a map of Minnesota, you will see that the State of Minnesota is bounded by Wisconsin and Lake Superior on the east, and by North Dakota on the west. It is bordered by the Canadian Province of Ontario on the northeast, by the Canadian Province of Manitoba on the northwest, and by the State of South Dakota on the southwest. Minnesota is the 14th largest state in the United States, and covers a land area of 79,610 square miles (206,190 square kilometers). There are 87 counties in Minnesota. This Minnesota map site features road maps, topographical maps, and relief maps of Minnesota. The detailed, scrollable road map displays Minnesota counties, cities, and towns as well as Interstate, U.S., and Minnesota state highways. The pannable, scalable Minnesota street map can be zoomed in to show local streets and detailed imagery. to view a scalable Minnesota road map. The detailed Minnesota map and the regional Minnesota map display cities, roads, rivers, and lakes as well as terrain features. The detailed map shows only the State of Minnesota, while the regional map shows Minnesota and the surrounding region. Minnesota's capital city is Saint Paul. Other major cities found on the Minnesota map include Minneapolis, Rochester, Bloomington, and Duluth. Minneapolis is Minnesota's largest city, and Duluth is the westernmost seaport which is accessible to the Atlantic Ocean. In 2005, the population of Minnesota was estimated at 5,126,739, which is about 64.5 people per square mile. In 2010, Minnesota's population rose to 5,303,925 people. The Mall of America, in Bloomington, Minnesota, is the nation's largest shopping and entertainment complex. The state's Interstate Highways include I-35, I-90, and I-94. The name Minnesota is derived from a Dakota Indian word meaning "sky-colored water". Minnesota's terrain varies from prairies in the south to forests in the north. Lake Itasca is the source of the Mississippi River; to its northeast lie the Misquah Hills as well as the Mesabi and Vermillion Ranges, which are noted for their iron ore deposits. The many lakes in northern Minnesota feed the Mississippi, Minnesota, and Saint Croix Rivers. Popular tourist destinations in the Land of 10,000 Lakes include Voyageurs National Park and Grand Portage National Monument. For Minnesota travel and tourism information, visit the official Minnesota tourism site and Minnesota Atlas. This online Minnesota reference map shows major cities, roads, railroads, and physical features in Minnesota. 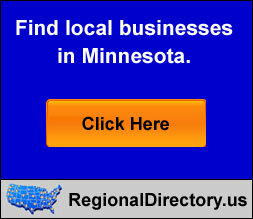 Several map publishing companies offer printed maps of Minnesota. For example, Omni Resources offers several maps of Minnesota that feature points of interest, airports, and parks, as well as selected local attractions and insets of major Minnesota cities. Minnesota-Map.org Editor, State Maps, PO Box 775, Barnegat, NJ 08005.